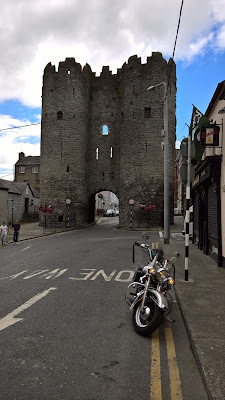 On my previous visit to Drogheda as part of my round Ireland tour I took very few photos, so yesterday I set that right be spending a bit more time there. 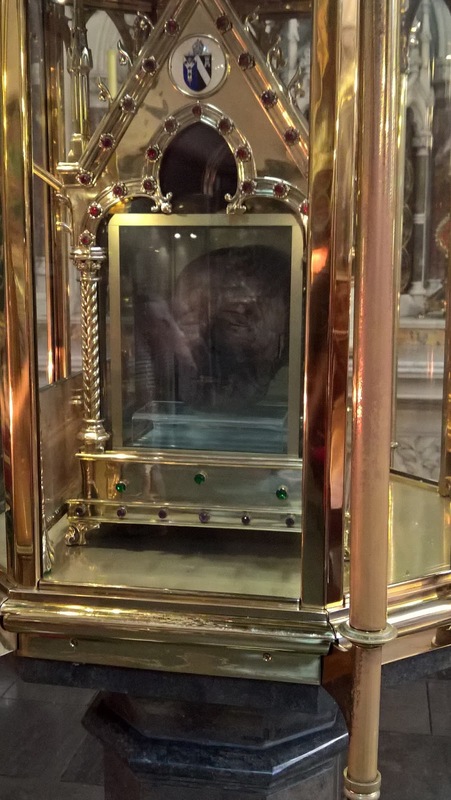 First stop was to see St Oliver Plunkett's head in St Peter's Church - I must have been one of the few school children in Ireland that was never brought to see this relic. 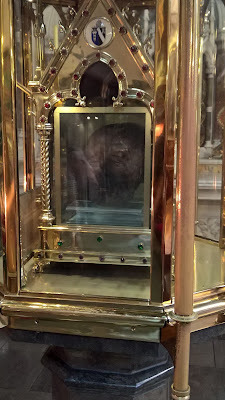 Oliver Plunkett was hanged, drawn and quartered at Tyburn on 1 July 1681, aged 55, the last Roman Catholic martyr to die in England in what was known as the Popish Plot. HIs head is a bit gruesome, and difficult to photograph. Not too far away is the imposing 13th century St Lawrence's Gate - this was built outside the original gate of what was once a walled town. It must have been an awesome sight for our medieval ancestors to see. Below is the magnificent railway bridge over the River Boyne - the bridge is known as the Boyne Viaduct. It is 30m (98ft) high and was completed in 1855. It was the seventh bridge of its kind in the world when built and considered one of the wonders of the age. 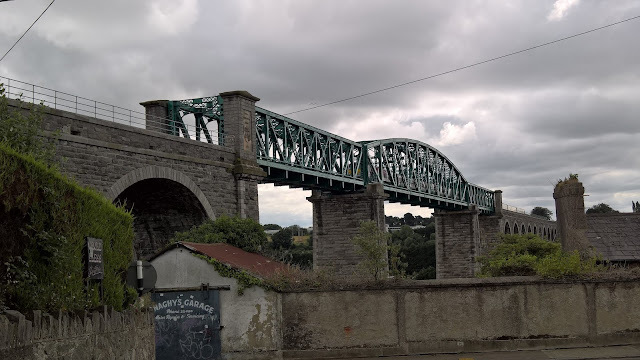 Drogheda is an interesting town and I'd like to have spent a bit more time there. It has an elaborate one-way system for traffic around the narrow and busy streets. On my bike it was easy to get around and park. Definitely worth a return visit! Tut Tut Eugene. Parked on double yellow lines... How do you clamp a bike? Like the blog keey up the new years resolution.